Click the following link to read his post on "Shurale — A Tatar Yeti?" In the article below Crabtree lists different reactions from Russian celebrities on the topic of the Yeti. 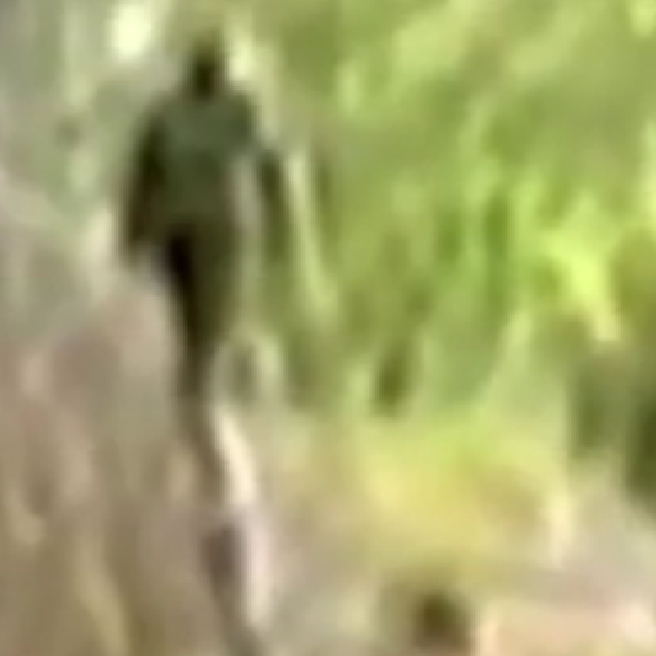 This phenomenon has already been dubbed the “Kuzbass Bigfoot” after another name for Kemerovo Oblast in Siberia, where sightings have been frequent. In the Southern part of the region, Gornaya Shorya, there have been 15 testimonies, no less, about the presence of an unusual ape-like beast there, complete with claims that it is making off with their livestock. Another Russian celebrity seems to have taken up Putin’s gauntlet. The half-Tatar boxing champion Nikolai Valuyev flew to the Kemerovo region last summer to search himself. “Proof that the yeti exists appeared before the Russian revolution,” he intriguingly told The Independent last year on 17 September . But does this only apply to Siberia? In The Kazan Herald on February 3rd, I proposed that the “Shurale” figure of Tatar and Bashkir mythology might be a distorted folk-memory of real interactions with relict hominids. Let us look at how Shurale is depicted–as a hairy, man-like forest dweller. His name is said to refer to his trademark deep laugh; bigfoot and yeti encounters also involve the creature making a howling or shrieking noise. Shurale has a horn on the top of his head; the yeti’s is thought to be cone-shaped. Shurale lives in birds’ nests; once again, Sasquatch investigators have stumbled across “nests” of twigs, which they ascribe to the Sasquatch’s activity. 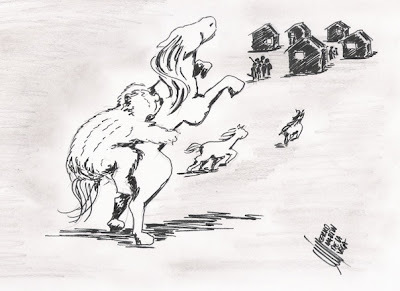 Lastly, the stories of Shurale involve him poaching farm animals, and such is the case with the modern yeti, as the people of Gornaya Shoria can testify. It is also to be admitted that Shurale has the power of speech and a predilection for tickling people to death. Consider, however, the local snow-leopard–the Ak Bars. Is this not a catalogued, familiar animal? Stylized Tatar folk-art, however, shows it in some cases even having wings. Established science does not completely jeer at the idea of the existence of the yeti–the iconic British naturalist David Attenborough made waves in 2009 when he said, live on a television talk show, that yeti footprints found 19,000 feet up were, by dint of this very fact, not likely to be the work of tricksters. Nevertheless, harder evidence is demanded. Why, ask the skeptics, in this interconnected and increasingly globalized era, are credible sightings not more frequent? Professor Valentin Sapunov, the St Petersburg based author of “The Secrets of the Snowmen: Between Man and Beast,” has a ready answer: we do not see them so often because they don’t wish to be seen! I am not qualified to say as to whether the contemporary flora and fauna of Tatarstan is of the kind where a snowman, yeti or Shurale could be hiding and thriving. What is needed is for some educated Tatar speakers to go out into the more remote villages and see what stories there are from both past and present. While they are about it, they should take a video camera with them. You never know…! Snowman? Snowjoke!